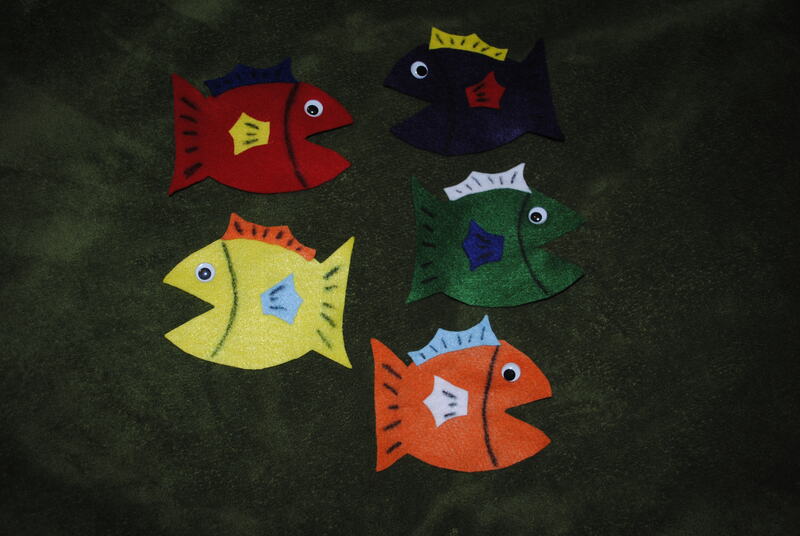 Fish/Ocean/Sea are all great themes to choose for storytime because they can be as specific or as broad as you like. 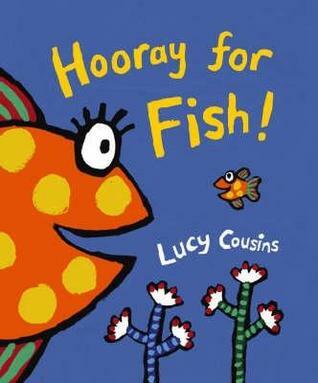 There are lots of books that include ocean animals in and out of the water – so go for it! 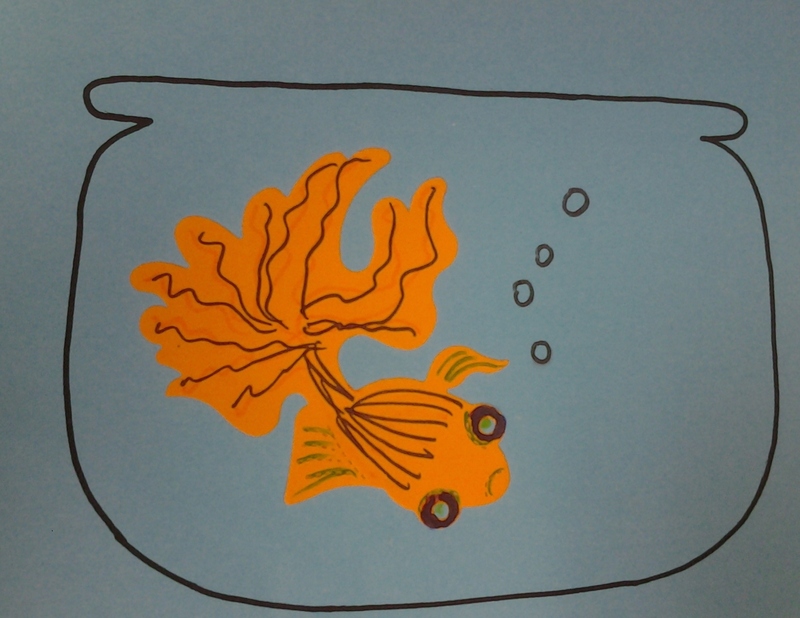 A golden fish went swimming by. He swam down low; he swam up high. He wriggled his fins and shook his scales. and swished his graceful golden tail. 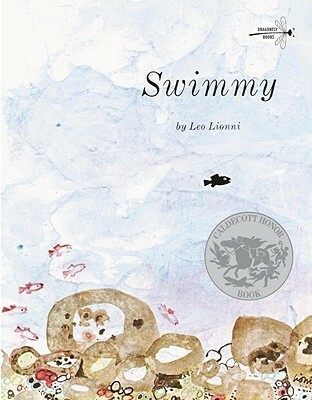 Swimmy is an awesome book about working together. It has its dark moments – mass pescacide at the very beginning and sweet revenge at the end – but in between there are lots of ocean animals and a self-confident mind set. I usually read this to preschoolers because of length and concepts. This book is hilarious on so many levels. The main character just keeps bragging about how big he is – until he meets someone SO much bigger. I read this with a lot of bravado mixed with matter-of-factness. He is bigger than all those other fish, after all. Be sure to read the back cover – the parents will laugh. I love this book for both Toddlers and Preschoolers. The colors are vibrant and the illustrations are whimsical and visible from far away. Toddlers are lured in by the Maisie-like colors and Preschoolers will like all of the silly creatures. Be sure to count the page that asks how many there might be before reading it aloud. I read that page and a tired Dad-voice piped up from the middle of the room, “24.” Clearly, he’d read it many many times. The parents and I talk through the animals in this book with Toddlers but Preschoolers can get it on their own. 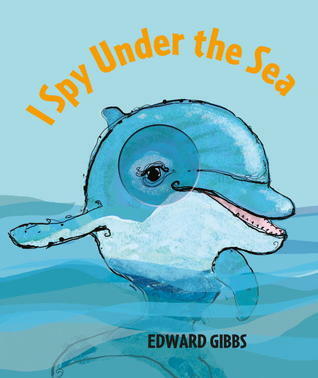 Gibbs does a nice job of playing I Spy with the kids – the animals are easy enough to guess and the artwork is beautiful. Kids get a peek at the animal he is describing through a hole in the center and each animal spread has varying numbers – so you can use it for counting, too. We’ve also enjoyed his I Spy on the Farm. 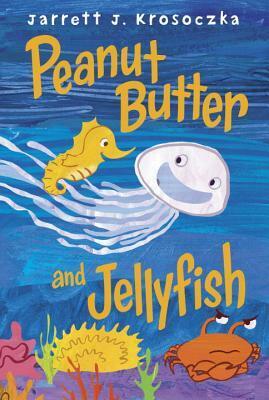 This title would be good for a young school-age read aloud as it deals with friendship and bullying behavior. The pictures are very colorful and easy to see but the content and the vocabulary are a bit advanced for the Preschool Storytime crowd. I do like how the friends work together to save Crab despite his earlier behavior. I read this book to Preschoolers because of length. The illustrations are beautiful and the kids find the clear but painted pages fascinating. I love that the story is all about fathers taking care of their babies. This one, too, would be an easy one to abridge if needed. This is a silly action rhyme to do with the kids and you get a few stretches and some movement in, too! 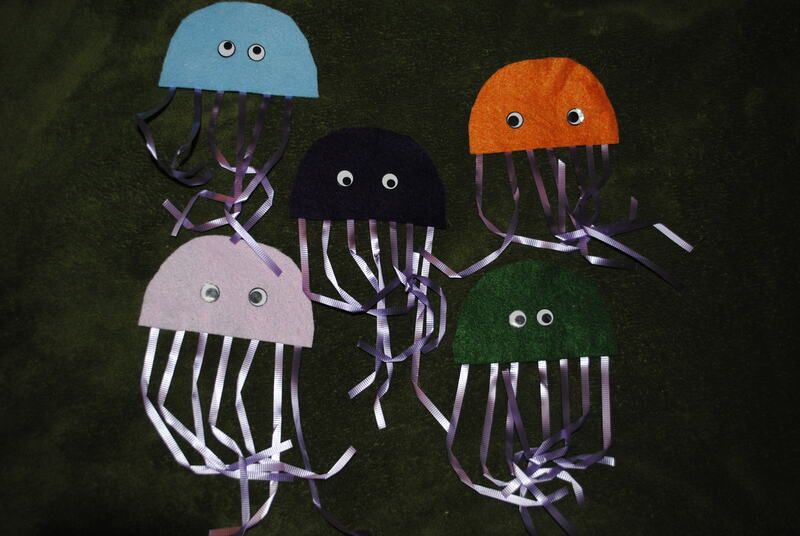 5 little jellyfish swimming by the shore, the purple one got lost and that left 4. 4 little jellyfish swimming in the sea, the blue one swam far far away and that left 3. 3 little jellyfish in the ocean so blue, the pink one took a seahorse ride and that left 2. 2 little jellyfish swimming in the sun, the orange one took a dive and that left 1. 1 little jellyfish swimming all alone, it was time for him to go home and the left none. I got these little guys from a Flannel Friday post and the ribbons really do make them the cutest things ever. I used eye stickers but googly eyes look terrific, too. 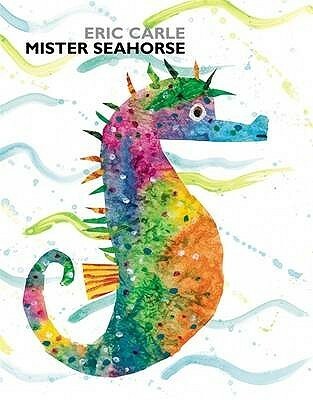 5 little seahorses play on the ocean floor. One went to swim and that left 4. 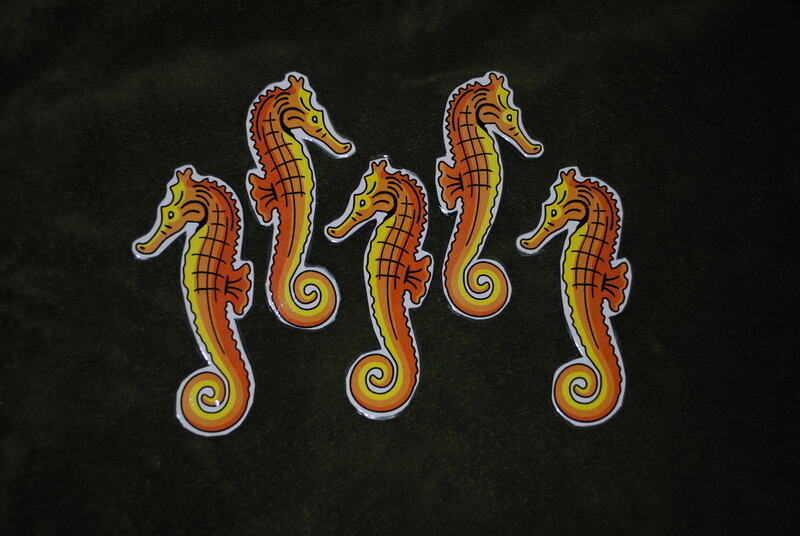 4 little seahorses live in the sea. One went to be and that left 3. 3 little seahorses in the ocean blue. One went to play and that left 2. 2 little seahorses having some fun. One went home and that left 1. 1 little seahorse yes, just one. He swam away and that left none! I found this in The GIANT Encyclopedia of Circle Time and Group Activities: For Children 3 to 6 (Charner) and used clip art on cardstock for the pieces. SNAPS that fish right out of the sea! Don’t forget to scream – AHHHHHHHHHH! Use this last version to get them seated again and then dig into a bag of sea creature puppets, give clues to the animal, and let them guess what it is. 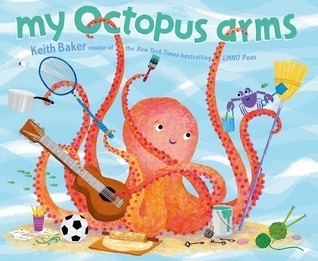 For example: This animal has 8 legs…an octopus! This animal has a hard shell and moves sideways…a crab! etc. 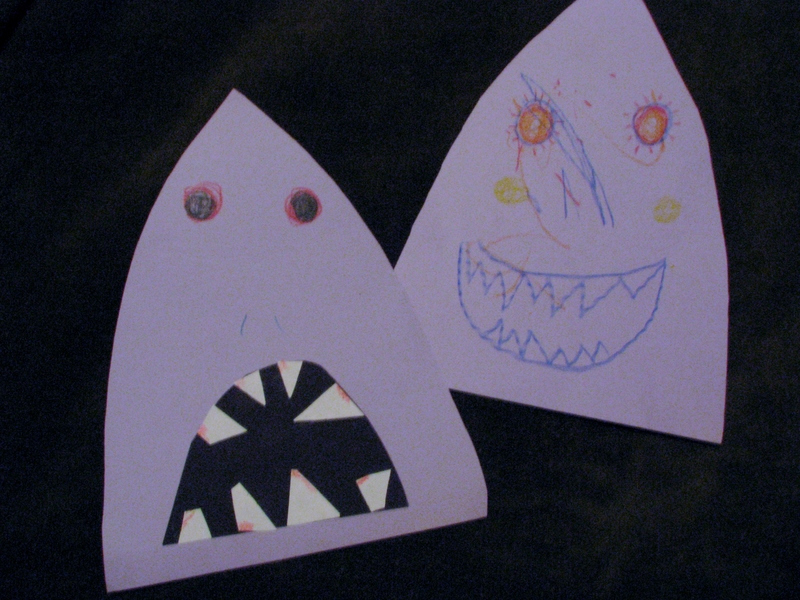 Use large grey or blue rounded triangles for the head, a black half circle for the mouth and lots of little triangles for teeth and you have a pretty great shark head. The kids draw the eyes on. The sharks can be smiling or not. The gluing and crayons work the fine motor skills. You can also encourage counting the teeth and using the head as a make-shift mask for imaginative play. This craft is an easy way for kids to take home a pet! Well, sort of. You start with a hand drawn bowl copied on to colored paper. 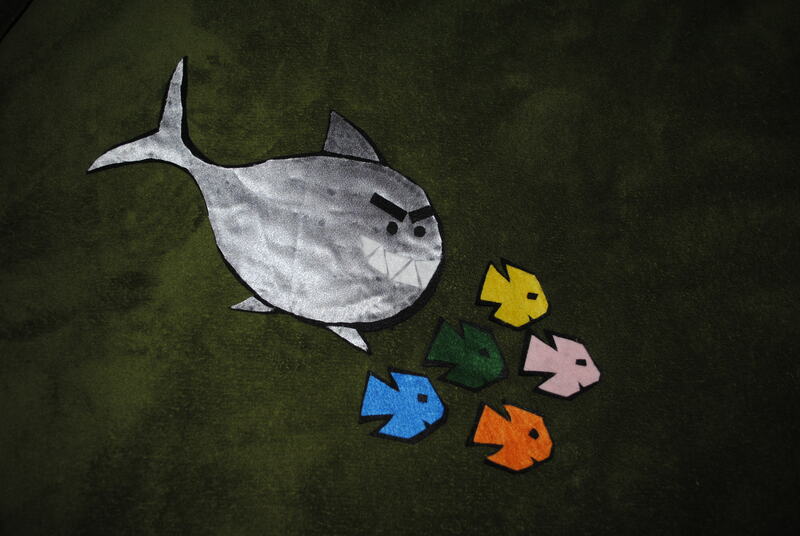 Then all you need are die cut fish or stickers. Stamps would work, too. 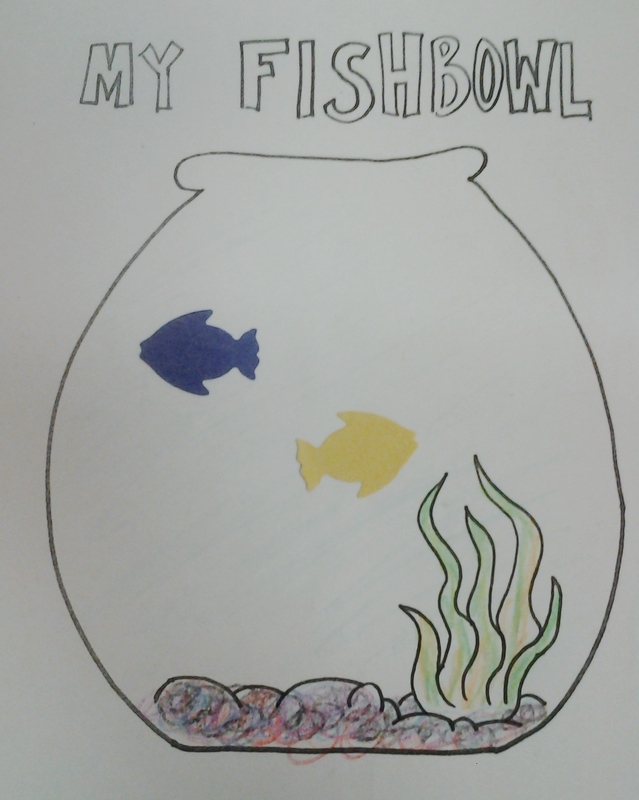 Let the kids decorate their fish and bowls in any way they want. No water to pour or spill. They will be working their fine motor skills with the glue sticks and crayons. Do you have any storytimes?